Pure Mineral based silicate paint for re coatable surfaces indoors. For Lime and cement based plasters. The most breathable finish after a limewash but without the rub off. 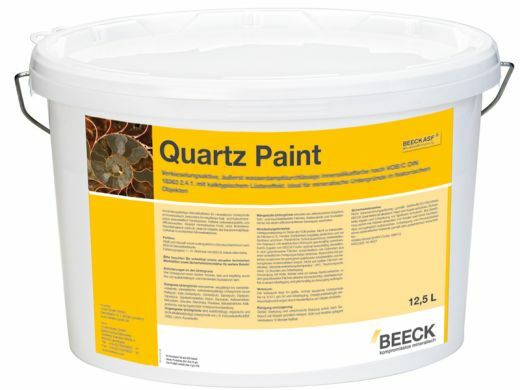 Ready-to-use waterglass paint for mineral surfaces indoors, especially for coatable lime and lime based cement plasters as well as porous natural stone. Extremely silicification-active and well diffusible. Of an absolutely mineral nature, non-film forming. Provides an agreeable room climate. Ideal for both historical and modern architecture with moderately frequented up to high-traffic rooms. Available in more than 300 nonfading mineral colors.